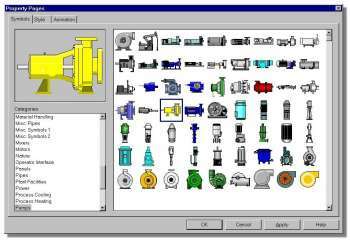 Symbol Factory ActiveX is a an ActiveX component used for adding animated objects from a library of over 4,000 industrial and manufacturing objects into your Human Machine Interface software applications. 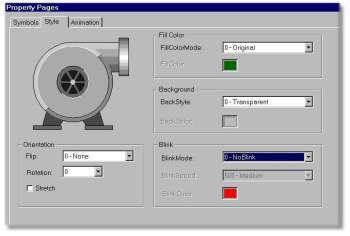 These include many popular packaged industrial Human Machine Interface applications as well as development tools such as Visual Basic, Visual C++. 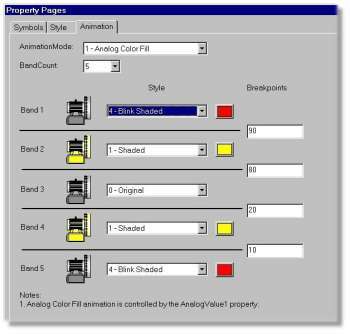 For Visual Studio.NET users, please check out Symbol Factory.NET. Use the built in object browser to pick your choice of animatable objects then animate them as shown below or from your container's scripting language. . Ordering - digital online instant delivery available! Copyright Software Toolbox, Inc., 1996-2015, All Rights Reserved Worldwide.